Shakina Nayfack is the Founding Artistic Director of Musical Theatre Factory and the first transwoman to be honored with a Lilly Award recognizing the remarkable contributions to the American Theatre made by women. Her autobiographical ONE WOMAN SHOW has played Joe’s Pub, 54 Below, Sophie’s, TheatreWorks Silicon Valley, Barrington Stage Company, and was the flagship project of her groundbreaking KickStartHer campaign to crowdsource funds for her gender confirmation. She holds a Bachelors Degree in Community Studies, a Minor and a Graduate Certificate in Theatre Arts from the University of California Santa Cruz, as well as an MFA in Experimental Choreography and a PhD in Critical Dance Studies from UC Riverside. Shakina is a proud alumna of the Drama League Directors Project and a member of the Stage Directors and Choreographers union. Her writings on theatre and dance have been published in The Drama Review and the anthology Dancing Across Borders. Her first book Butoh Ritual Mexicano - Alchemy is Dancing is really good but no one buys it because it was published by an obscure academic press in Germany and it's really expensive, so if you want to read it email her and she'll send you a PDF. Song Presentation: "Your Baby Better Covers His Tracks" from Joel B. New's MACKENZIE & THE MISSING BOY. 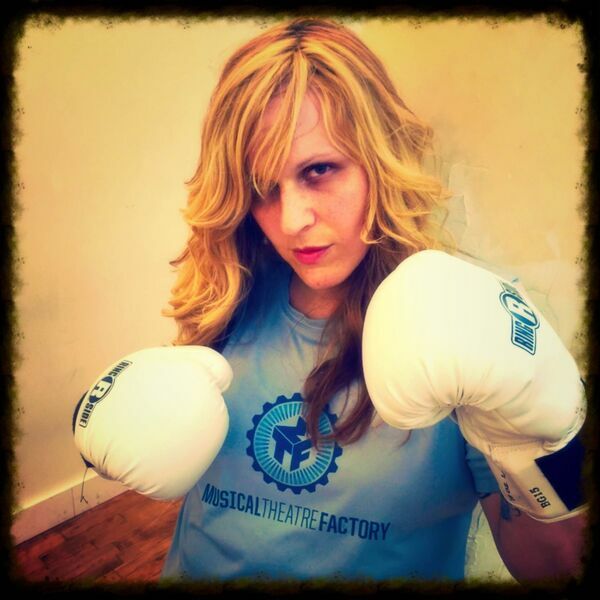 Recorded live at Musical Theatre Factory (mtf.nyc).